Moving from downtown Langley into the beautiful Walnut Grove area, in the Westpark Centre Mall on 204th & 88th Avenue, allowed us to have a much larger office with interiors that are Wheelchair and Scooter friendly. This is a big plus for our mobility-challenged patients. It was one of the important “must needs” for us when we approved the design of the clinic. 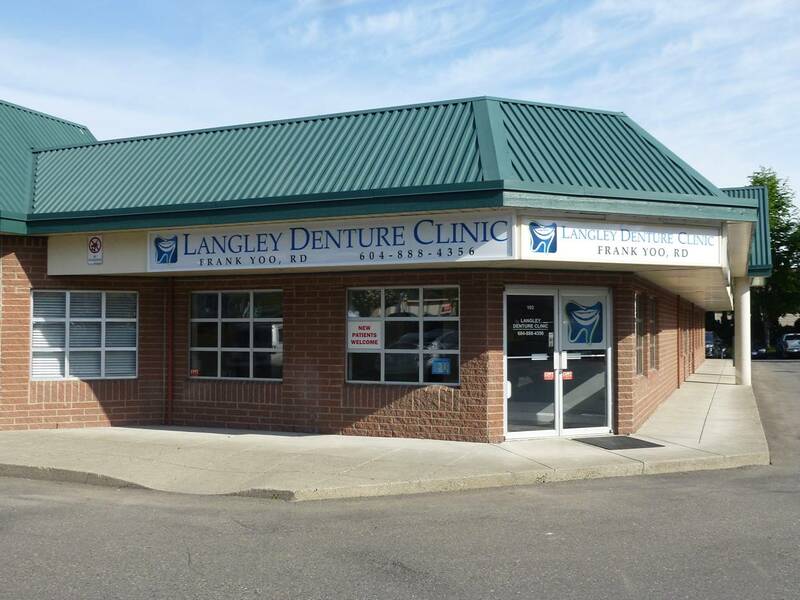 Langley Denture Clinic has taken the first of many steps of creating an office environment that not only meets the needs of many of our patients. But also worked towards developing a cutting-edge in house lab. We now have an innovative in-house denture laboratory, we make the dentures right here in our office. Utilizing the latest technology, our in-house lab ensures the highest quality dentures with the best fit. By doing all the work in our lab, we can often reduce the time it takes to create your new custom dentures or repair your existing ones on-site. Because of this innovation, we are confident you’ll discover the convenience and quality is unparalleled. Call (604) 888-4356 for a free consultation to get started. Ask about our flexible partial dentures made in our in-house lab. and across the street from McDonald's. There is ample parking and ground floor level access that is wheelchair friendly. Frank Yoo is a current Registered Denturist and member of The Denturist Association of British Columbia.